One of my favorite past times is going out to dinner, and I have been spoiled lately with so many good meals around Chicago. People regularly email asking for tips on what to do, where to go, and what restaurants to eat at in Chicago, so if you are visiting soon or live here and looking for something new, definitely add these to your list. The Monarch is one of Bucktown's newest gastro pubs–ultra delicious food and drinks. 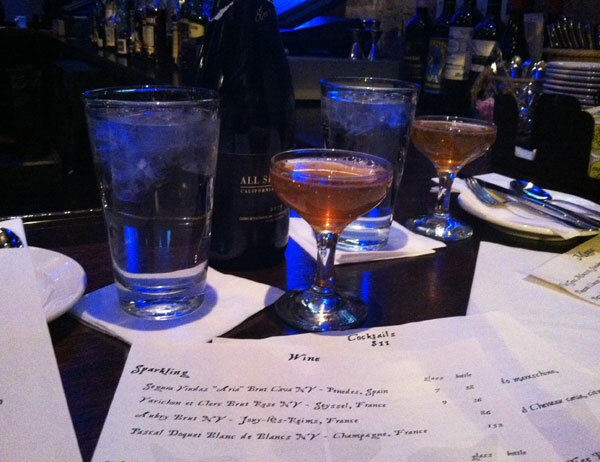 We sat at the bar and were so glad we did–Brady, the bartender, was an absolute delight. Service is key when dining out and he made the meal special, offering recommendations, wine pairings, and he even sent out an appetizer he said we couldn't pass up. And thank goodness for that! The entire meal really could have been an assortment of appetizers, shared and enjoyed. 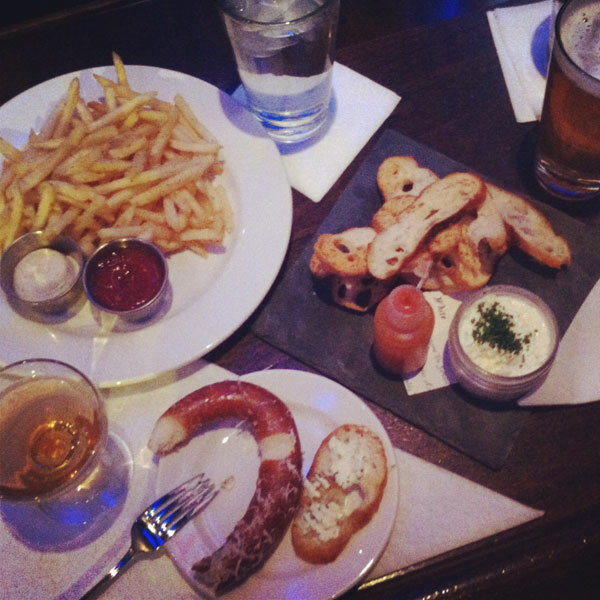 We had the fries with truffle mayo, soft pretzels with beer cheese, and the pimento cheese and white cheddar served with crostinis and hot sauce. Definitely recommend mixing the cheese with the hot sauce before digging in. 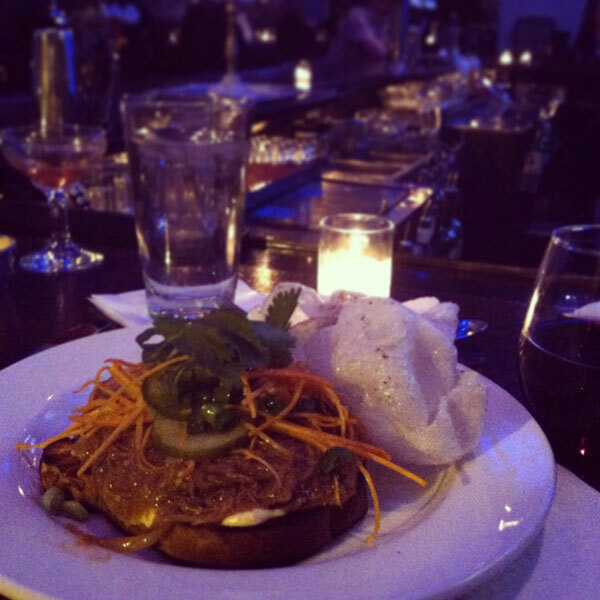 I ordered the duck confit open-face sandwich because I loooove duck confit. Unfortunately, with the pickles on top, this dish was a bit too salty for my taste. Tasty. But salty... and the shrimp puffs were a tad too shrimpy for me. Now the glazed beef short rib... THAT was to die for. Highly recommend it. I've also heard terrific things about the burger and the salmon, but I haven't had a chance to try either. Definitely next time I go back! Finally made it to Nellcote. Loved everything. Started with the bread order–which was delish. Then split the roasted half chicken and the mashed potatoes. By the time the Sunnyside Up Organic Egg pizza with fontina, mozzarella, arugula (which was bananas good), I had one small piece and took the rest to go I was so full. Friday, February 22, was our official one year anniversary of The Everygirl. Danielle and I took the whole day off and it was glooorious! It also happened to be the birthday and post-day-birthday of two special people so the four of us went to Chicago q for a celebratory lunch! (You may remember we featured head chef LeeAnn Whippen on The Everygirl!) Sparkling rose, a great pinot noir, fried shrimp and grits, a half slab of bbq ribs, a bevy of desserts... I left there so so stuffed. Literally went home and took a two hour nap it was that good of a food coma. 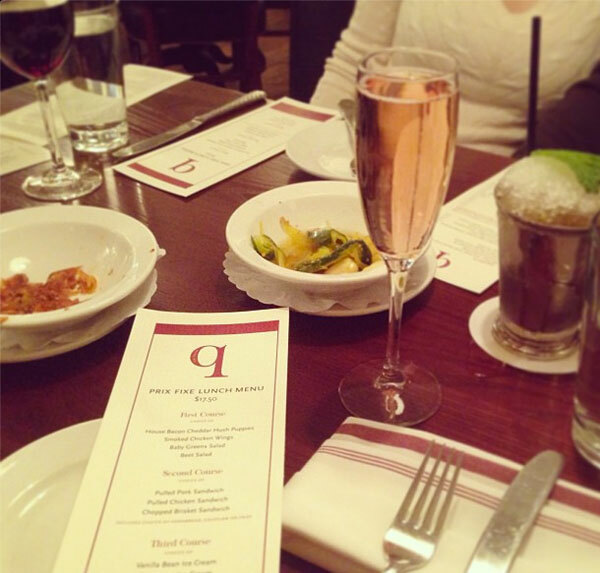 I mentioned this in The Everygirl feature but I absolutely love the interior design of q. It's very Nancy Meyers. Kind of has that sophisticated beach housey feel. 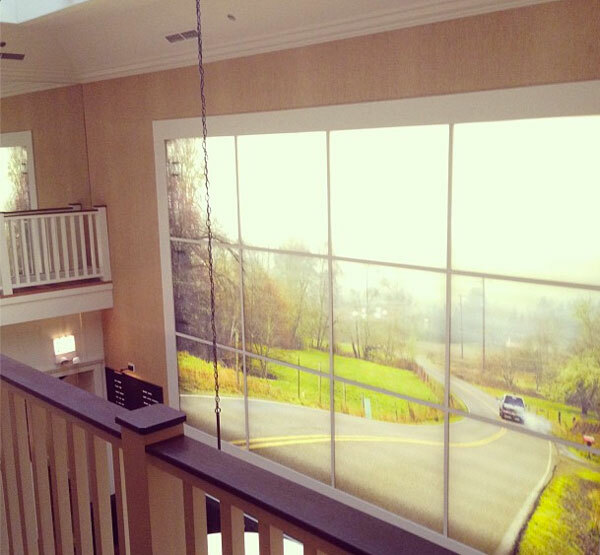 How cool is this massive back-lit art installation on the wall? LeeAnn has great taste. Have you ever been to any of these Chicago restaurants? Which are your favorites? Any good ones I should try? These restaurants all look wonderful. As someone who enjoys eating out as well, I might have to plan a trip to Chicago simply to try out the local cuisine! I went to MK when I was in Chicago a couple of weeks ago, and it was amazing. We did the tasting menu--such a cool restaurant and so delish! You need to stop in RM Champagne Salon for a drink before dinner at Nellcote next time. It's like a secret little hideaway with beautiful vintage chandeliers. Feels very French. I think you'd love it! Nellcote and q are two of my favorites in the city. Adding Monarch to my list! 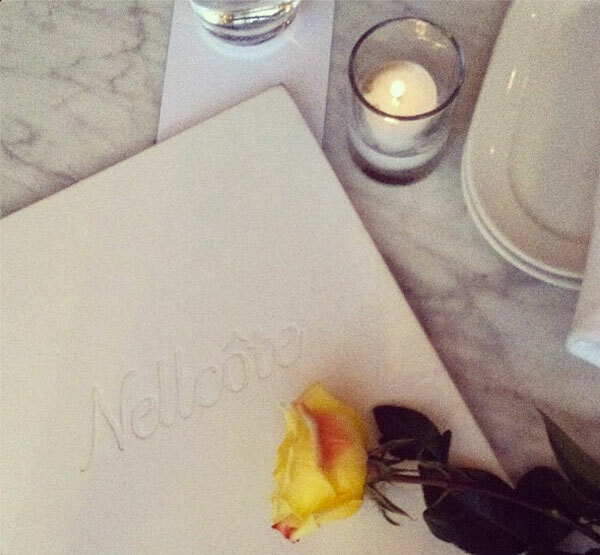 I went to Nellcote for the Chicago Blogger Network Oscar Party and I was intrigued. I want to go back for an actual meal! never been to Chicago....but that installation had me doing a double take...so cool. Belle: Help me choose art for my living room! SAVE THE DATE: The Everygirl Turns One!